It was a rainy, miserable day in Sydney but I was keen to get out of the city to make a day of it, so my girlfriend and I jumped in the car and headed up to the central coast for the day. After a two hour drive, we were keen to find a nice place to sit down and have a bite to eat. 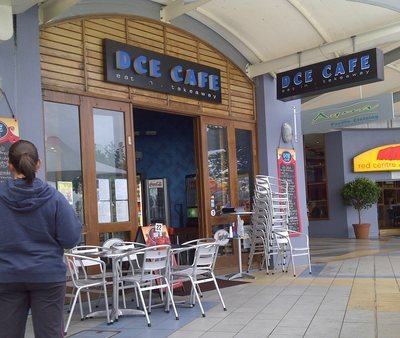 DCE Cafe is located along the main esplanade walkway, close to the children's playground and outdoor community stage in The Entrance. We decided on eating at DCE Cafe due to the location, the amount of clients that were already dinning there and the staff who looked friendly. We took a seat outdooors and had the opportunity to order straight away thanks to the attentive staff. I order the Taco Burger from the specials menu while my girlfriend ordered the fish of the day. 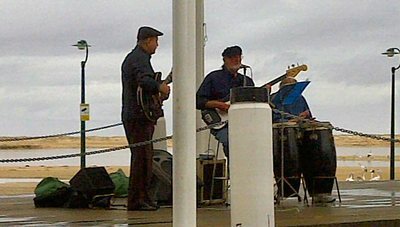 By luck close to where we were sitting there was a three piece jazz band playing some relaxing classic tracks on the outdoor stage. Being a bit of a jazz fan I couldn't think of a better way of sending a afternoon considering the weather conditions on a Saturday. We received our meals relatively quickly, the Taco Burger looked quite large and I had my doubts if I was going to be able to eat it all. Essentially the Taco Burger was a beef burger with sweet chilli sauce and lots of yummy sour cream in addition to what you would usually find in a good sized burger, Also included was a side serving of chips. Not ideal for my weight but I figured I could splurge once in a while. It is the type of the burger that you would think twice about trying to pick up so I believe I made the smart choice by opting for the good old knife and fork option. 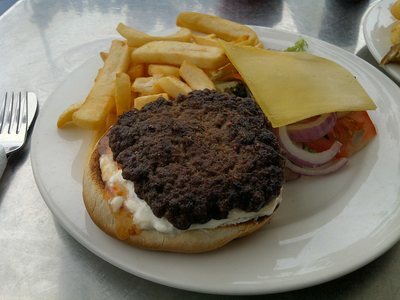 The burger tasted great, it contained all the ingredients and flavours that I would expect from a good quality burger. 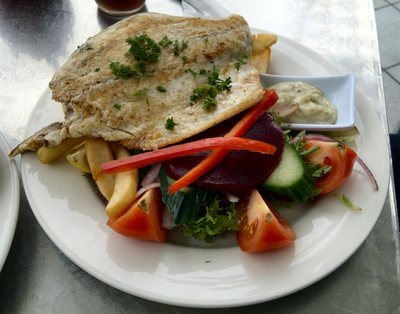 The fish of the day that my partner ordered was Grilled Barramundi, served with a side salad and chips. The feedback I received from her was that it fresh and tasted fantastic and given the opportunity she would have gone back for more. While the meals were great, the other stand out feature at the cafe was that the service from the staff was quick and efficient while also being friendly and polite. During our meal we were ask for feedback about the meal and if everything was to our liking, which I was happy to report it was. Based upon our experience, next time we visit The Entrance it's highly likely that we will visit DCE Café again.